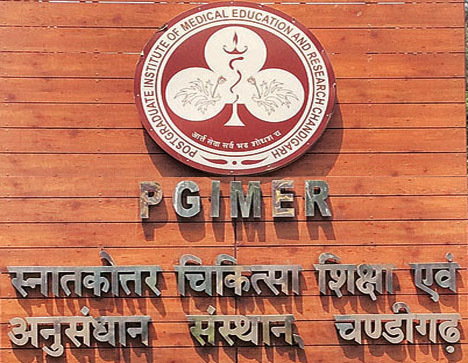 Chandigarh 21st May : The PGI Medical Technologists Association strongly condemned the sham and hollow claim of Prof. Yogesh Chawla, Director, PGI and In-Charge Hospital Investigation System (HIS) that the laboratory investigation reports have been made online. More than 1200 reports of indoor patients, wards and emergency, of Biochemistry are daily either written by hand or printed for distribution in wards, Emergency and ICUs of Nehru Hospital, ACC, APC, ATC, AEC, etc. Similarly, more that 5000 reports of Haematology, Medical Microbiology, Virology, Parasitology, Immunopathology, etc. are distributed through Group D workers from Sample Receiving Centre situated at Ground Floor (117), Research Block A of Institute. More than 10-12 Group D employees are working to distribute these reports round the clock besides the Medical Technologists wasting their precious time in writing or printing these reports, which are than sorted and distributed by Group D Staff. In case, the Residents / Nurses are allowed to view online or provided printers, not only a lot of time, energy and resources will be saved but the reports will be available 4-5 hours in advance as compared to distribution done after 4 or 5 pm. PGI MTA has knocked the door of each and every Officer concerned including HODs, Medical Superintendent and In-Charge HIS but in vain. The insensitive and callous attitude writs large on the face of such anti-patient and anti-public step / act. The PGI Administration has not been able to decide, who should or should not be allowed to view reports in Wards / ICUs / Emergency to bring an end to more than 6 decade old system and to make optimum use of computerization for which more than 30-50 crores have been spend and Institute is further bearing recurring expenses. Though, the OPD reports are online but Faculty and Residents do not view these reports online but Medical Record Technicians have been assigned the jobs at Counter No. 4 and Special OPD counters in New OPD Block to take thousands of prints daily, which is contrary to goal of paperless work.